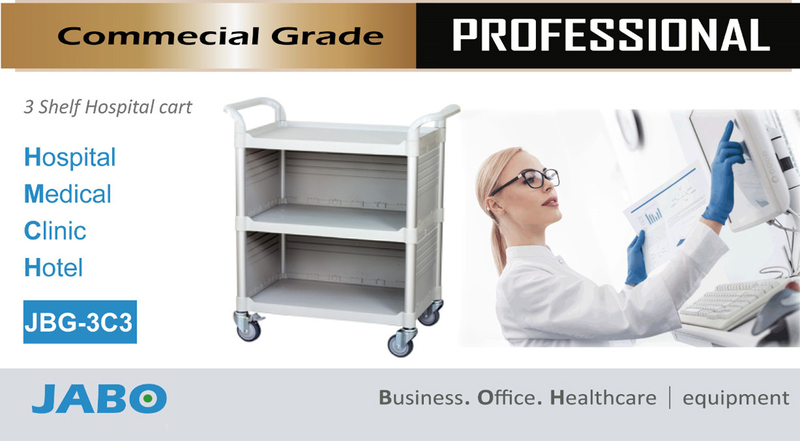 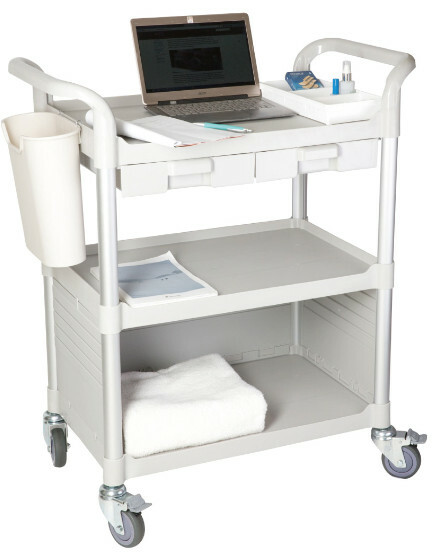 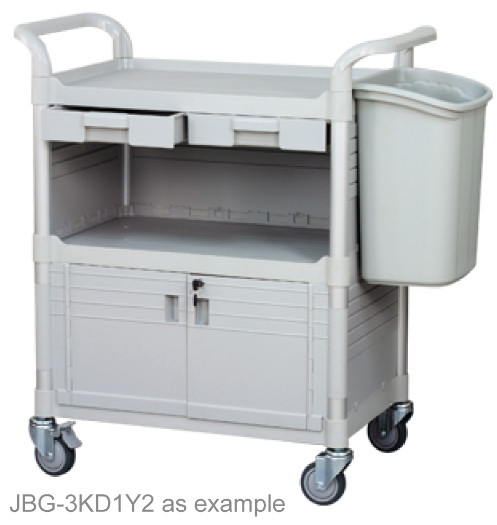 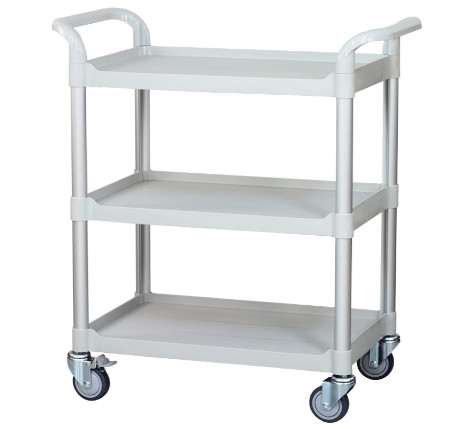 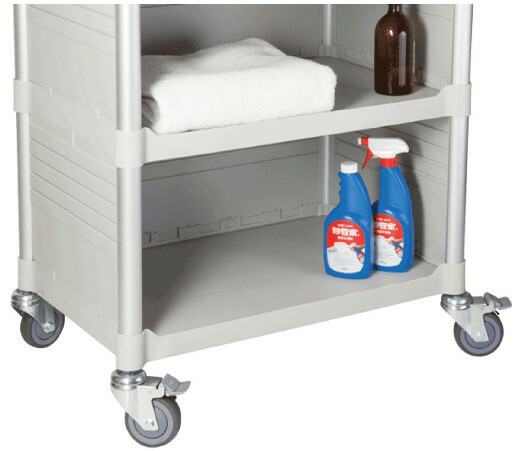 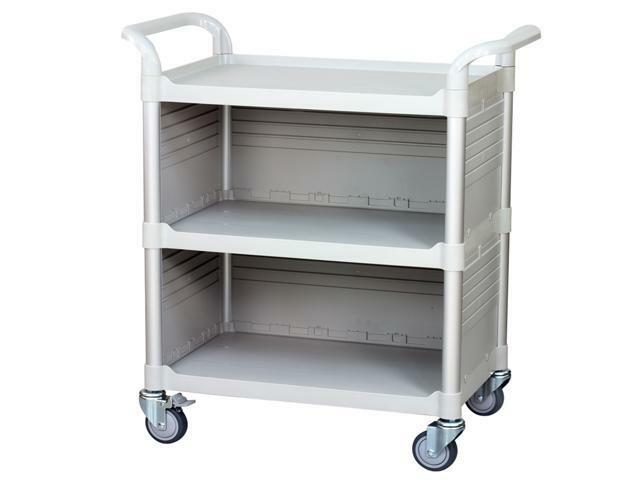 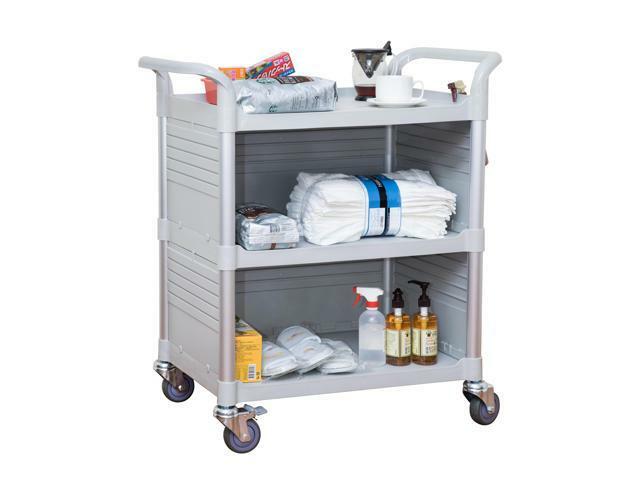 HEAVY DUTY COMMERCIAL GRADE: This reliable JaboEquip Utility Cart is made of commercial reinforced Polypropylene with fiber glass in shelves, Aluminum legs and medical grade TPR castors. 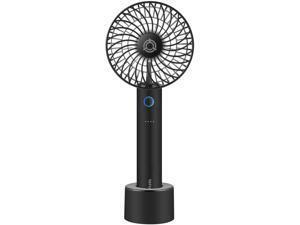 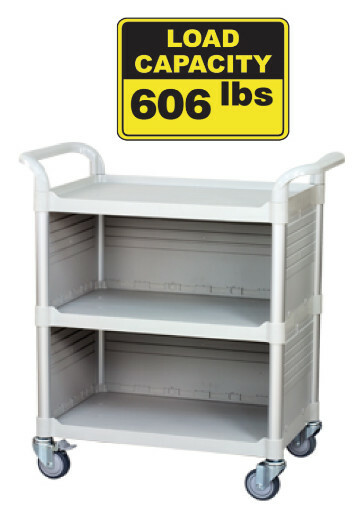 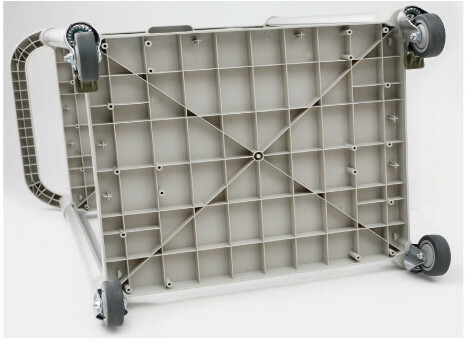 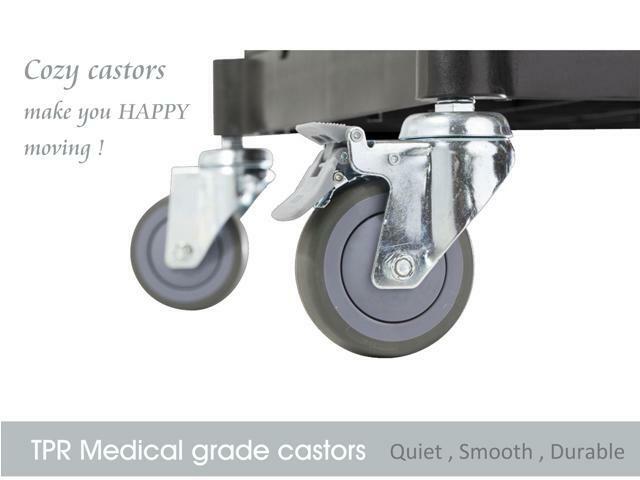 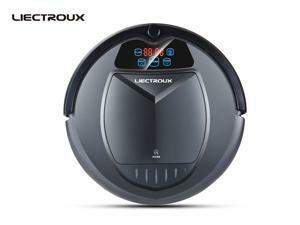 It can hold up to 606 lbs per cart, the advanced design makes shelves top flat and sturdy ! 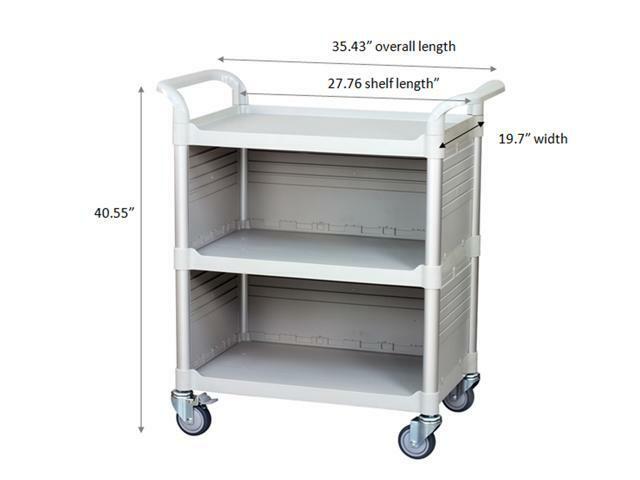 TOOLS NOT REQUIRED TO ASSEMBLE: Just a rubber hammer can assemble handles and whole cart, you’ll save 70% time and efforts to assemble this cart ! 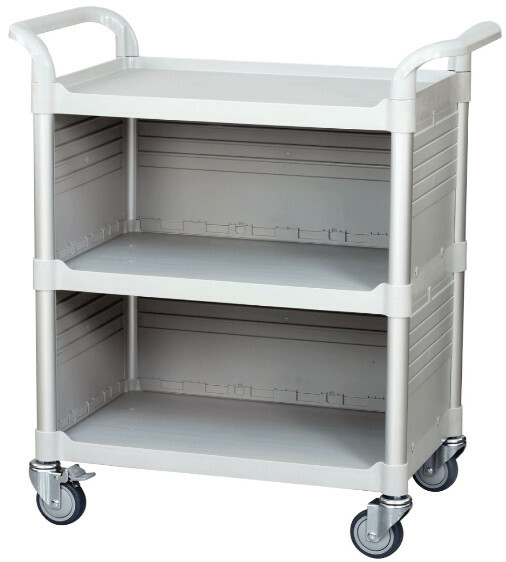 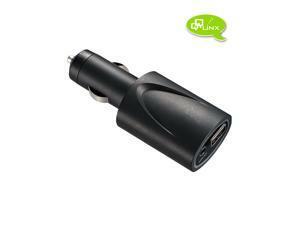 STRENGTHEN CABINETS: The strengthen structure cabinet cover stuff inside to make cart look stylish and give private. 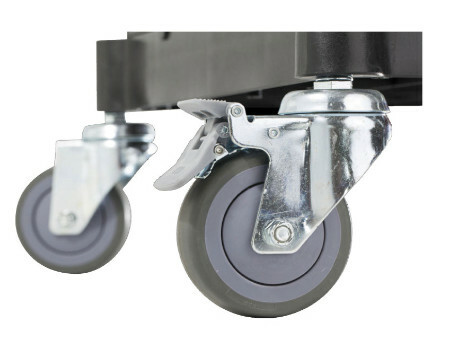 LOCKING BRAKES WHEELS SECURED: just one easy step on brakes to ensure your cart stays still and secure cart without moving to assist you while working. 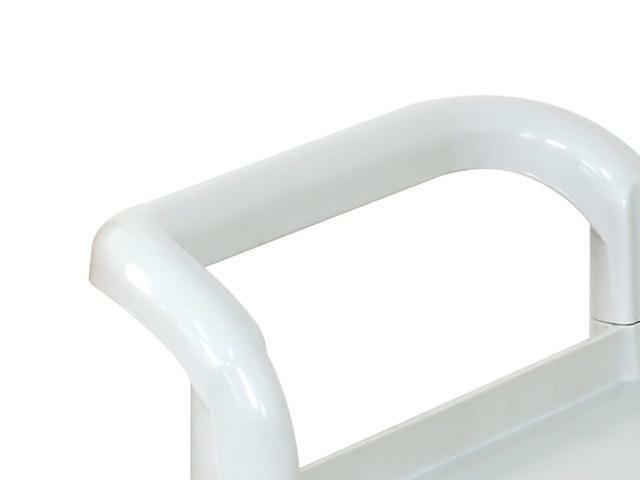 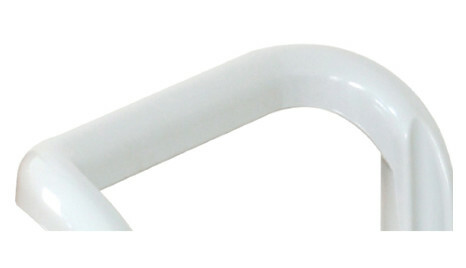 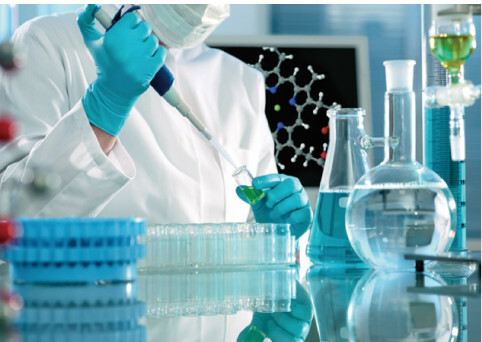 HEAT & COLD RESISTANT SHELVES: The shelves can bear heat and cold temperature. 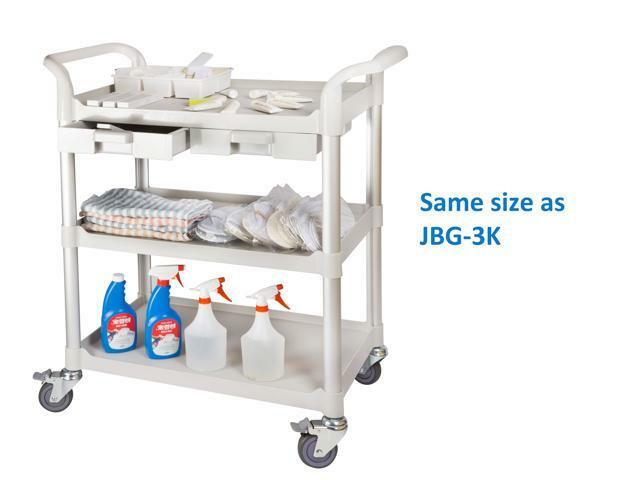 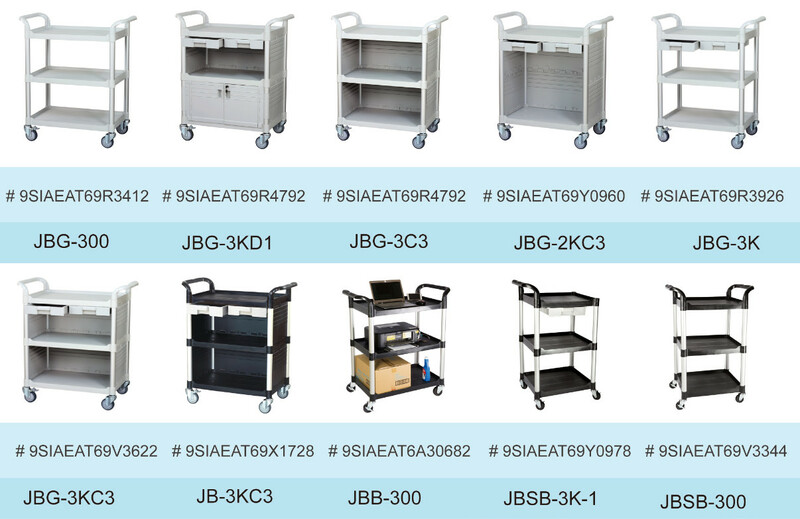 HIGH GOOD QUALITY: Our JaboEquip Utility Carts are highly recognized as HIGH QUALITY CARTS and will be your best assistant ! 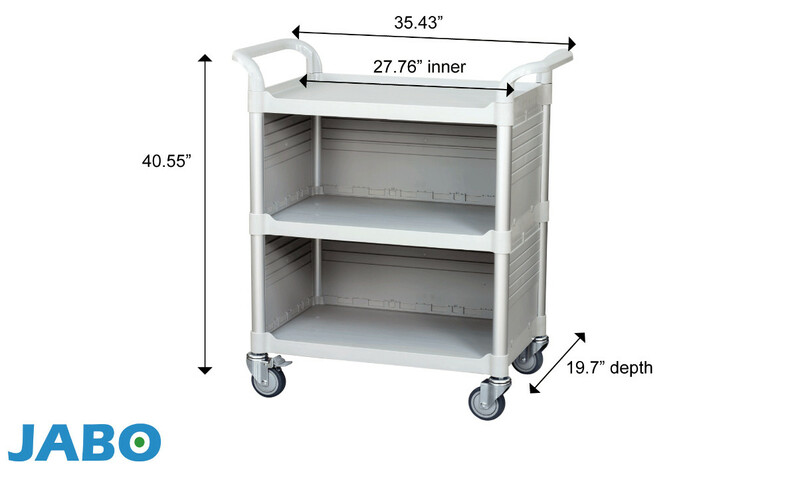 3-min to install this 3-tier cart! 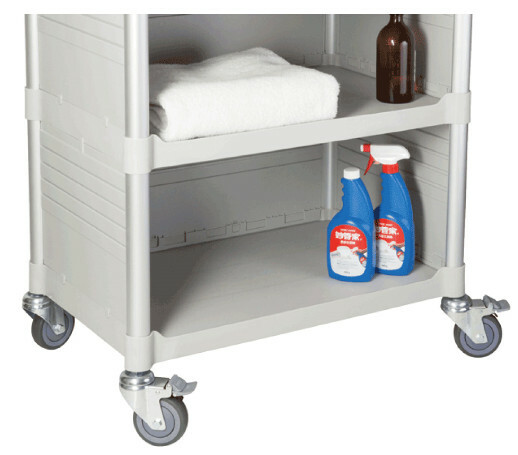 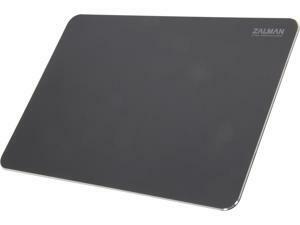 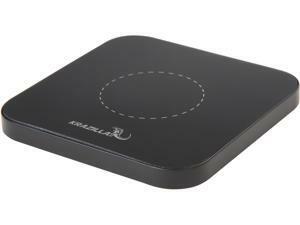 Sturdy, Strong, Smooth shelf top make work easier!